CareConnectMD offers on-site comprehensive primary care to patients living in specialized facilities or in one's own home. By visiting patients often and in-depth, we are able to diagnose and treat problems before they become medical crises. Because we serve as the primary care physician for the majority of our patients, we are dedicated to assuming ongoing responsibility for their care, coordinating care with subspecialists, and developing long-lasting connections with our patients and their families. We understand that facing a serious illness is difficult on both you and your family. Our Supportive Care program can help you minimize the symptoms, pain, and stress associated with your diagnosis, while providing specialized medical care. As our patient, we place your comfort and care as our highest priority. Our team will spend time with you to better understand: What are your health goals and wishes? What activities do you enjoy and what would you like to continue doing? What is most important for you in life as you think about your health care options? By working together with you and your doctors and nurses, our highly-skilled team can provide an extra layer of support and compassion during treatment, no matter your stage of illness. We know that many facilities and caregivers face challenges providing round-the-clock care for patients with complex medical issues. 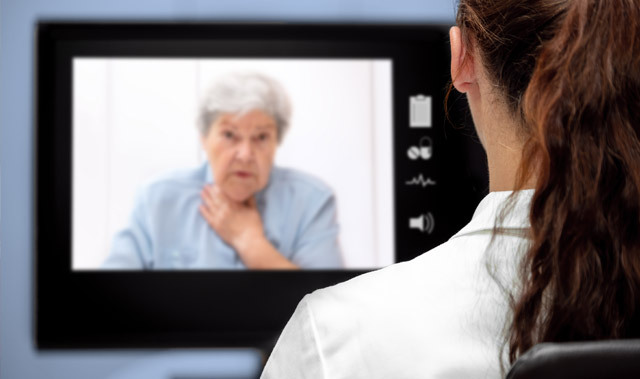 Telemedicine, or the monitoring, diagnosing, and treating of patients from a distance using technology, is helping us improve care management and reduce emergency transports when our clinicians are off-site.